More than 1,000 overseas-trained nurses could become eligible to join the UK register because of changes to English language testing. The Nursing and Midwifery Council agreed today to lower the pass mark required by candidates sitting the International English Language Testing System (IELTS) exams. From 5 December, the NMC will accept a mark of 6.5 in writing in the IELTS, lowered from level 7. The existing level 7 pass for reading, listening and speaking will remain. The threshold had been criticised by NHS employers struggling to recruit nurses. In today's announcement, the NMC said it will consider test results under two years old that meet the new requirements. 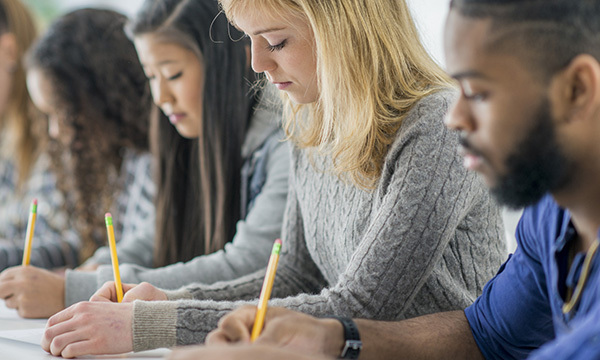 The British Council, which runs test centres offering the IELTS, and its partner Cambridge Assessment English, showed Nursing Standard sample figures for those who would benefit. They estimate 1,078 nurses would now pass the test, adding that figure could be much higher. RELATED: English language tests for overseas nurses: too hard, or not tough enough? The British Council figures are based on a sample of 9,800 UK-bound IELTS candidates between 1 November 2017 and 31 October 2018 who gave their reason for taking the exam as registration as a nurse. It estimates 11% of these individuals (1,078) would have passed, had pass level been lowered.